Few days ago we contacted Chuck Westfall (Technical Advisor/Professional Engineering & Solutions Division) at Canon U.S.A. asking him about some features of the new Canon EOS 7D Mark II. As always, he kindly replied clearly and quickly. Since we already know the HUGE improvements of this camera for sports, fast action and wildlife photography, we aimed our questions mostly to the video mode, but also to the new LP-E6N battery and big lenses. Below we post our short but very interesting interview. We are very excited about the new 7D Mark II and we would really appreciate if you could give some details on the following points, so we can share them with the community, since they are not really clear. 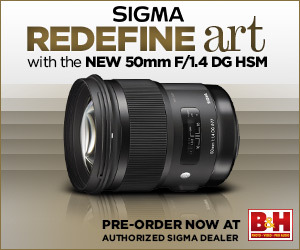 Q: Did Canon improve Moire and Aliasing as they have done on the 5D Mark 3? On the 5D3, the footage looks “soft” (when selecting Sharpness “0”), but the moire & aliasing are almost none, so when sharpening in post processing the footage looks lot better. Q: Since the EOS 7D Mark II can take advantage of the DualPixel AF, but there is no touch screen like on the EOS 70D, is it possible to select a specific zone or subject so the camera can do a “focus pull”? If so, how would you do it? – C.W. : To select a specific focusing area for Movie Servo AF with the EOS 7D Mark II, first set the focusing mode to FlexiZone single, then move the focusing frame to the desired focusing area with the multi-controller on the back of the camera. This can be done before or during movie recording. Q: As far as we know, the sensor on the 7D Mark II is a different one than on the 70D, is that right? – C.W. Yes, it is newly developed. According to Canon Inc., it is based on the 70D’s sensor but the light gathering efficiency of the photodiodes has been improved. Q: Besides the addition of new .MP4 codec and 1080p60 mode, what are the most important differences between 7D Mark II and 70D in video mode? 1. Enhanced image quality, due to improvements in signal processing and the light gathering efficiency of the sensor’s photodiodes. 2. Distortion correction has been added to Peripheral Illumination Correction and Chromatic Aberration Correction for most EF and EF-S lenses. 3. Movie Servo AF has been improved in overall speed and performance, especially in low light and with low-contrast subjects. 4. A focus lock function has been added to Movie Servo AF (by pressing the pop-up flash button in Movie mode). 5. Face detection performance has improved. 6. Adjustments are now provided for Movie Servo AF speed and tracking sensitivity with select EF and EF-S lenses. 8. Higher frame rates up to 1080/60p. 11. Silent control of audio levels during movie recording. 12. Uncompressed Full HD via HDMI, with audio. Q: Once the file reaches the 4GB limit, does 7D Mark II start a new one without stop recording and no dropped frame? Q: Besides the specs sheet, can you tell something else worth mentioning about the video capability on the 7D Mark II that is still not very well known or understood? – C.W. : In addition to the list above, it should be noted that there is no arbitrary time limit for external recording via HDMI. Q: Is there an estimated date for the User Manual to be online for download? – C.W. : It will be posted before the camera ships in November, but no specific posting date has been announced. Q: What is the difference between the new LP-E6N battery and the LP-E6? Is the EOS 7D Mark II compatible with LP-E6 batteries? – C.W. : The LP-E6N has slightly higher storage capacity than the LP-E6. (1865 mAH vs. 1800 mAH) It works with the current LC-E6 charger, which is supplied with the EOS 7D Mark II camera kits. The EOS 7D Mark II is fully compatible with Canon LP-E6N and LP-E6 battery packs. Q: Can the EOS 7D Mark II control properly big lenses like the EF 200-400 f4L IS USM w/ 1.4x extender, EF 300mm f/2.8L IS II USM and the new EF 400mm f4 DO IS II? – C.W. 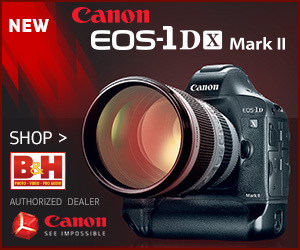 : The EOS 7D Mark II is fully compatible with all Canon EF and EF-S lenses. Thank you very much Mr. Westfall for your time and help, much appreciated. Follow us on Twitter and Like us on Facebook for special news, technical articles, promotions and deal alerts. 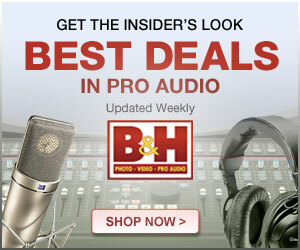 We try to keep everyone informed about promotions! 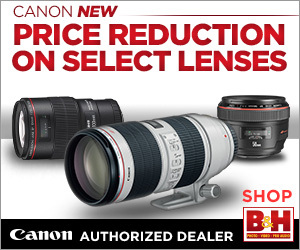 ← UPDATE #4: Canon EOS 7D Mark 2 – Announcement & Specs – IN STOCK!